If I could tell you the one thing that has deepened my understanding of God’s Word and helped me get into the habit of opening my Bible every single day, it would be writing out Scriptures. 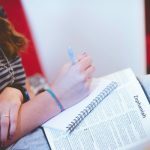 What began as a way for me to keep my sleep-deprived, new mama eyes open when I sat down to read my Bible has transformed into something greater. I look forward to my Scripture writing every single day. In fact, now that I’m no longer up with a baby or young child in the middle of night (your turn will come soon if you have a middle of the night waker! ), I actually look forward to waking up early so I can have this time in the silence and stillness of the first hours of the day. But don’t worry, I’m not about to tell you to start waking up early BUT what I do want to encourage you to do if you are not already regularly doing it, is to look into starting the habit of Scripture Graces, writing out God’s Word word by word. 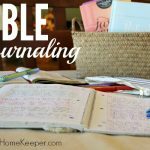 It doesn’t have to be complicated, or even adding something to your to-do list, but rather a natural enhancement of what you are (hopefully) already doing every single day… reading God’s Word. And that is why I’m popping into your inbox this morning because I have a new FREE resource to help you! 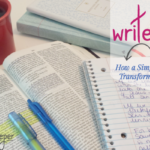 Introducing Scripture Graces: A Quick Start Guide to Writing Through the Bible. Plus — and this is my FAVORITE part — I’ve even included a guide to help set you up for success by having an accountability buddy, someone you can write the Word with together! 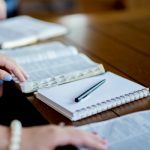 There is even a complete Scripture writing outline to help you write out the entire book of Colossians in 5 weeks with study and reflection questions! 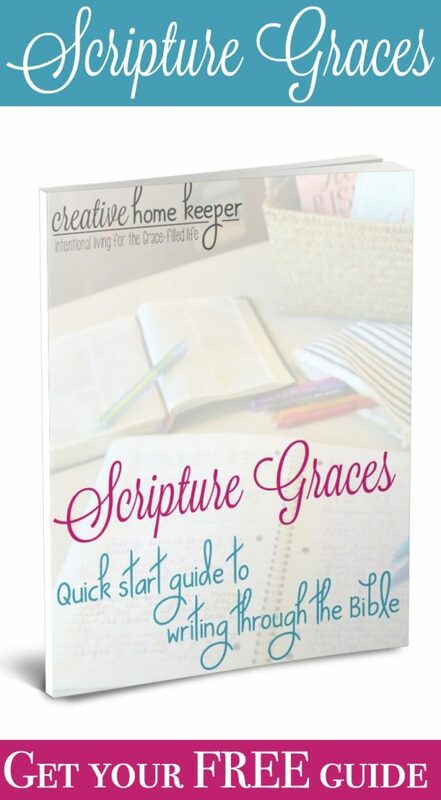 Scripture Graces: A Quick Start Guide to Writing Through the Bible is free just for you! This is my gift to you because I believe it’s a valuable tool to add to your toolkit of Bible study and quiet time resources. To get started, simply complete the form below and this quick start guide will be sent directly to your inbox. Plant God's Word Deep in Your Heart! 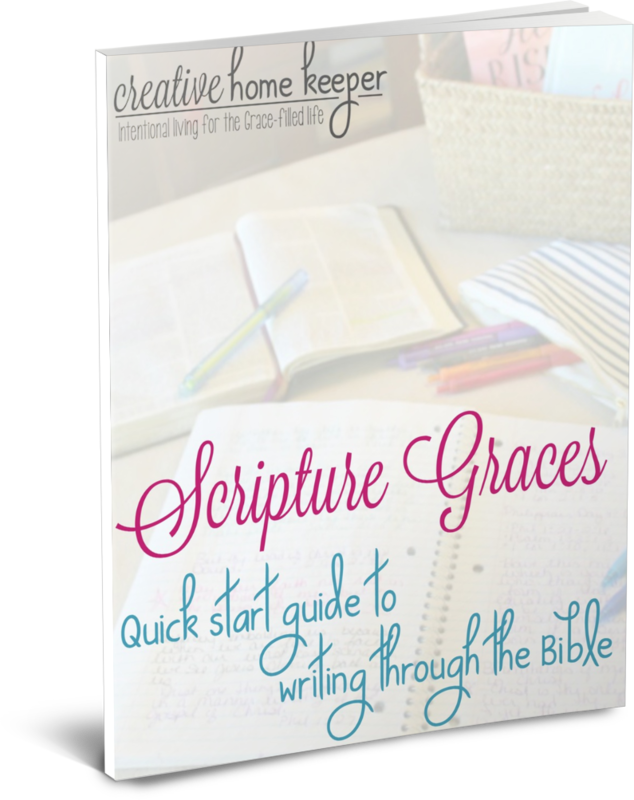 Download your free Scripture Graces Quick Start Guide to Writing Through the Bible today! Join the community of over 8,000 women who are learning how to prioritize their home life while nurturing a thriving faith with a little bit of encouragement delivered weekly to your inbox -- plus get this FREE workbook! 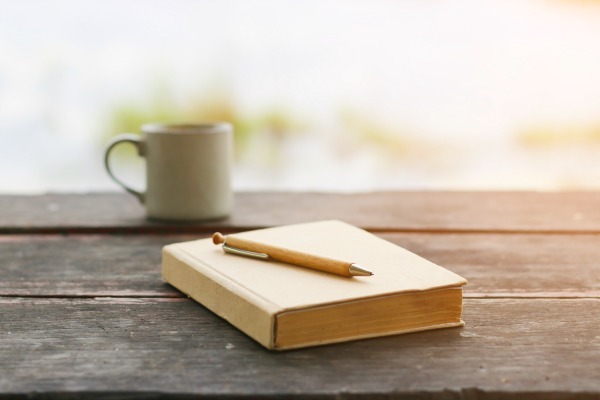 It’s my desire to get as many of you as possible into the habit of writing out Scripture because I have seen the positive impact it has had on my own life and spiritual journey over the past few years. 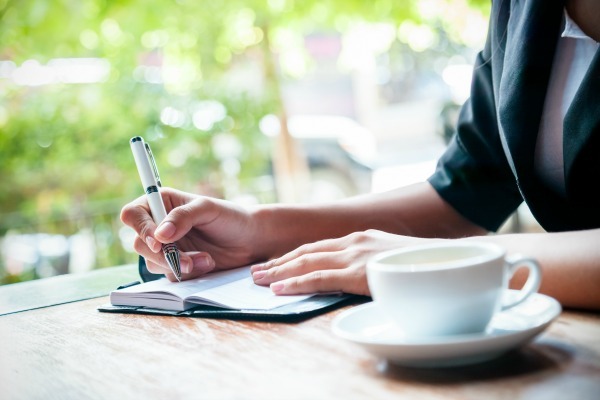 Do you have a friend who you would love to write through the Scriptures together? Please use the share buttons below to send them this post so they can download the guide too! 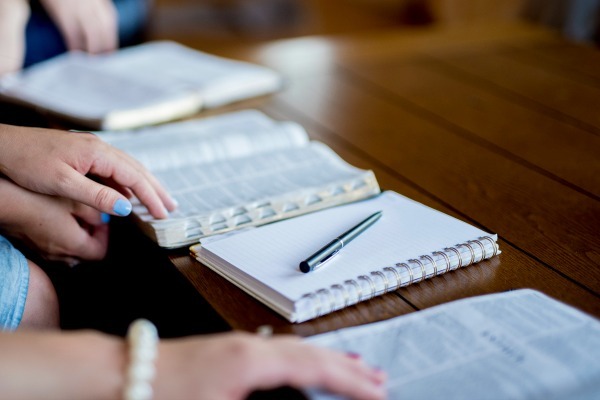 Looking for even more resources to help you begin writing through Scripture? 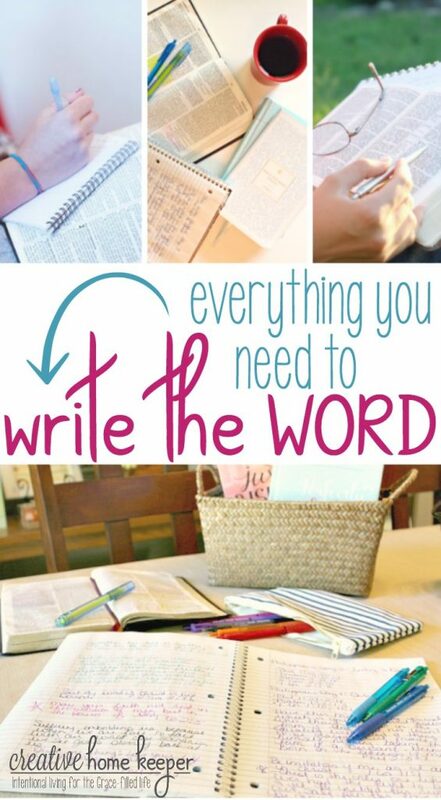 Check out everything you need to write the Word! 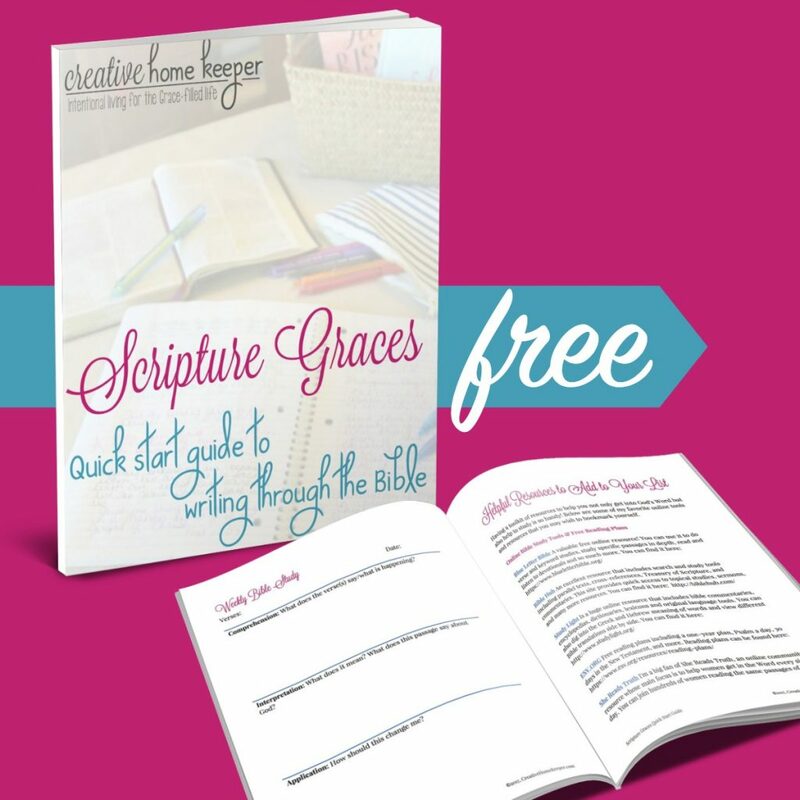 Download your free Scripture Graces Quick Start Guide below!